“Humility, humility and humility.” This was St. Bernard of Clairvaux’s response to the question of what the three most important virtues are. During Advent I only pray the Joyful Mysteries of the Rosary. 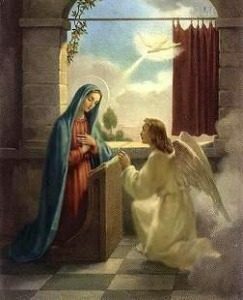 I love meditating on Our Lady’s humility when she immediately gave her yes to God at the Annunciation and when she humbly responded with her Magnificat during the Visitation. It is beautiful, but it really baffles me as to how someone without sin could be so humble. My point in this post is not to preach about the importance of humility, but to address its vice: vanity. In the initial days of being home from the convent, vanity was a real struggle for me, among other things. I believe it was triggered from my reaction to being back in the world. 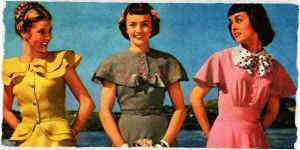 In the convent, I had one outfit to wear every day, and I did not need to spend time fixing my hair. Vanity was not too much of an issue. Now being back in the world, I cannot wear the same thing every day. I have to fix my hair. I have to look nice. All this became an obsession for me. Ah!!! What to do?! Thanks be to God, I came up with two solutions. If any of you have any other ideas, please do not hesitate to post them. 1) In my last post “Guard Your Heart”, I talked about my struggles with dealing with young men. I noticed that when I would go to Mass I would be focused on if any young men were there and if they would see me and how nice I looked. Yeah, I know, pathetic, right? 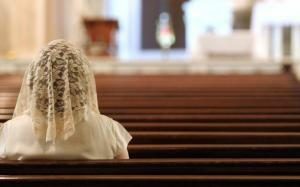 Well, to help deviate my attention from that I got back into the habit of wearing a veil at Mass. This actually helped to lessen my focus on my hair and my looks so that I could be more focused at Mass. It is amazing! It is a very humbling experience to cover your head. 2) This may sound contradictory, but I also find that dressing nice does help. To learn to overcome vanity, it is easy to play the false humility card and dress like you just rolled out of bed. It dawned on me that we were created with dignity as women of God. We should not be ashamed of our beauty. When I began to wear skirts more often and make myself decently presentable, I noticed my self esteem go up. Obviously, I need to be careful, as I do not want to get too inflated. I try to keep the focus that I am dressing for God and God alone. If you are having trouble finding nice modest clothes, I find that Ross and Good Will (or thrift stores) are good. The prices are not too bad either! May Our Lady clothe us with her humility. Blessings to you all this Advent!